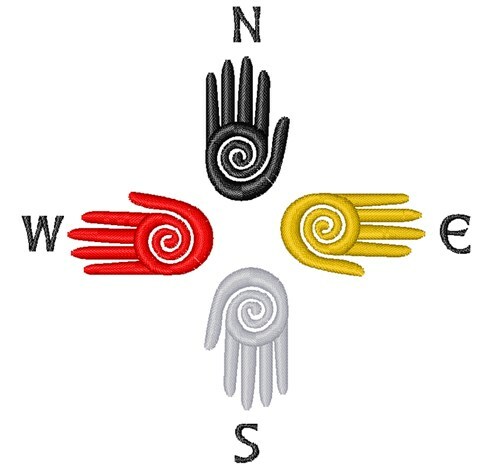 The Native American medicine wheel represents the great Sacred Hoop and the circle of life. Get this native inspired design on clothing, tablecloths, napkins and gifts. Hopscotch is happy to present Four Directions Compass machine embroidery design which has 5042 stitches and is [99.21 mm x 101.54 mm] large. If you would like to view more embroidery patterns please search on our embroidery designs page.